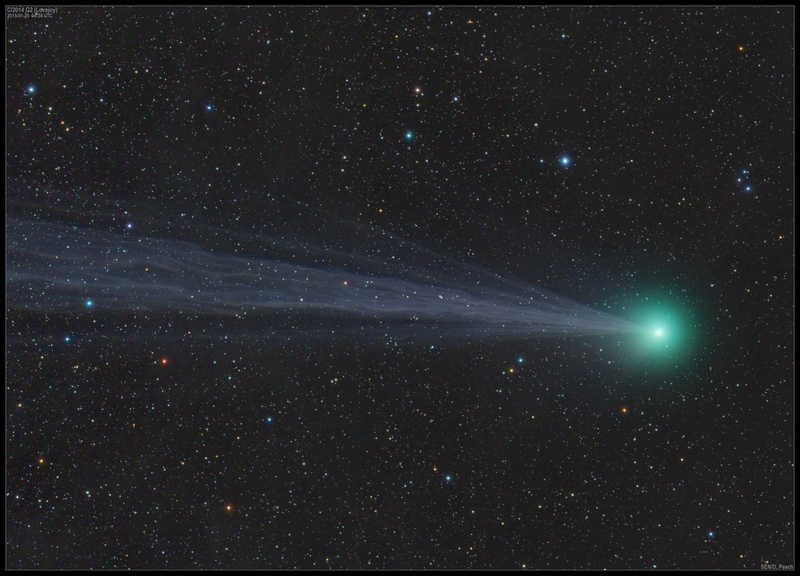 Here is an image of C/2014 Q2 from January 20th. Once again a dramatic tail with many fine streamers visible. FSQ106 with STL-11k. LRGB image. Two frame mosaic.